Planning on buying a car with bad credit? Protect your investment by viewing the vehicle history report of vehicles you are considering. It's never been so simple to get approved. Buying a Car with Bad Credit Auto Loans is Easy! When it comes to buying a car with bad credit there things that differ from a typical car purchase. First off, it is more difficult to get the credit score needed for loan approval with bad credit from a typical lender. Most car dealerships will use lenders who are not setup to approve subprime (bad credit) auto loans. With online auto financing you now have the opportunity of buying a car with bad credit with ease. Being able to start the entire process from the comfort of your own home is a great way to save yourself the headache of driving around from dealership to dealership in search of a lender to approve you. Simply going online and filling out an application for auto financing can get you approved for local auto financing with any type of credit. Buying a car with a bad credit auto loan has never been so simple. There are so many auto loan financing companies with available bad credit and no credit check auto loans in our network that the majority of people with a steady source of income can get approved rather quickly. Wouldn't it be nice to arrive at a used car lot and be treated the same as a cash customer? From the comfort of you own home you can search through hundreds of used vehicles for sale in your area to get an idea of the value of different makes and models. 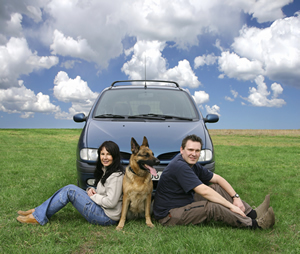 While online you are also able to apply for bad credit auto loans. Applying is easy and usually only takes a couple of minutes to complete. After applying you are now free to continue on with your day while you wait to be contacted to schedule an appointment. Granted because of your credit history you will notice that your interest rates are going to be higher than a typical auto loan; but you will be able to get into the much needed form of transportation. We have over 20 years of experience in special auto financing; working directly with various special finance lenders and other auto financing programs throughout the United States and Canada. Our knowledge and expertice that we've gained over our years of providing auto financing for people with bad credit allows us to provide the best assistance.